A gentle riverboat cruise is one way to see the likes of Hampton Court, Syon House, Kew Gardens and Richmond Hill from the River Thames — but why settle for that when you can paddleboard the whole route? 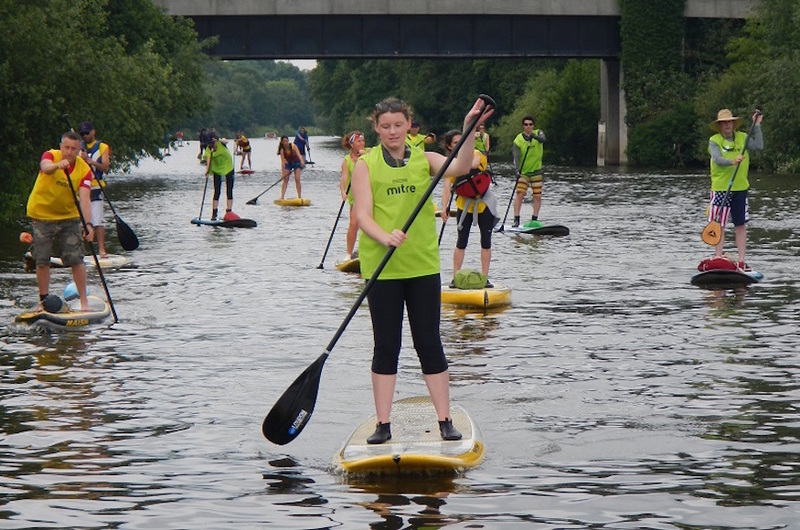 The London Stand Up Paddleboarding Marathon is a 26 mile route, starting at Shepperton in Surrey and following the Thames all the way up to Putney — taking in the genteel sites of west London, without having to dodge the river traffic of the centre of the city. London Stand Up Paddleboarding Marathon takes place on 18 June. Entry is £75 with a minimum fundraising commitment of £500, or pay £200 to enter with no obligation to fundraise.